I decided to try out something a little bit different. I was tired of the tired old chocolate and vanilla and variations there in. 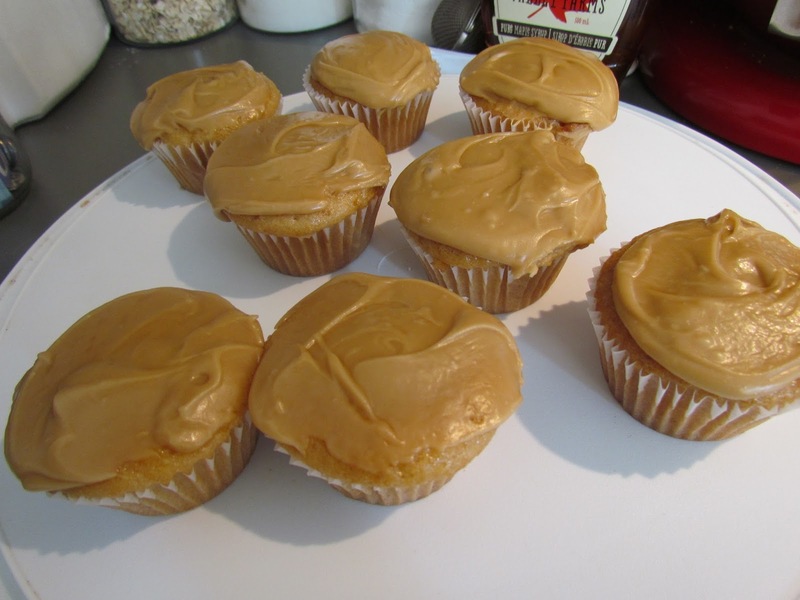 So I decided to step out and try some caramel cupcakes. They were a little bit sweet for The Boyfriend. But I liked them. 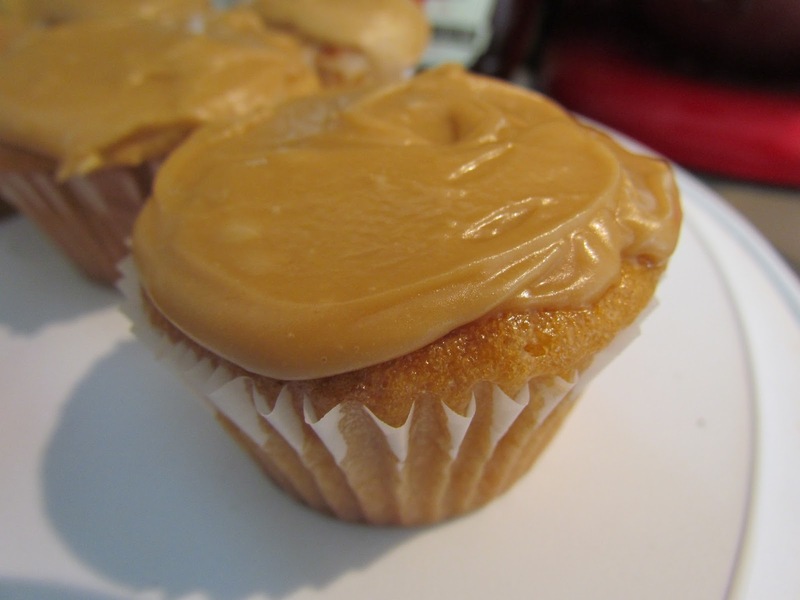 Caramel is one of those things that I always wanted to try out, a flavour that seemed intriguing. However, all of the store bought caramel I had ever found had milk in it. So I had to make my own. I ended up with a huge amount of left over frosting, so I am going to be giving you half the frosting recipe. Life has been and continues to be very hectic with various projects on the go so it’s nice to take the time to myself to bake. I blast country music (a genre I discovered I actually guiltily love last summer) and sift and measure my way back into a sense of calm and order. Baking is simple. You just have to follow the recipe and in about a half an hour you have sweet treats to enjoy or impress your friends with. 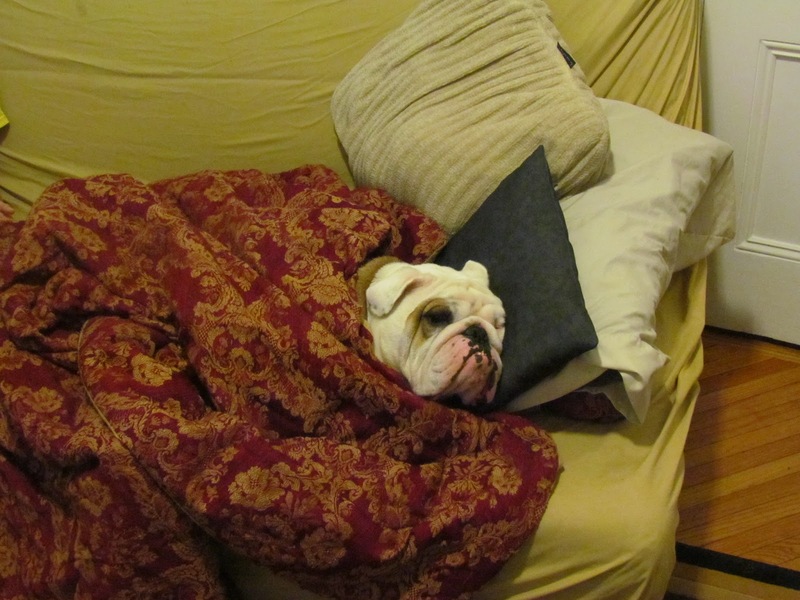 I also find it helpful when trying to balance it all to spend some time curled up with the bulldog. Yes, we tucked him in on our couch. Yes we spoil him rotten. Summer time used to be a time for relaxing and doing nothing more then swimming, boating and reading in the sun. I try and pull as much of that out of the summer as I can as an adult. It’s not so easy. At least I have cupcakes and bulldog cuddles!